I love paper snowflakes! And I found the neatest way to make paper snowflakes on Pinterest. Who knew that coffee filters could be used to make the coolest looking snowflakes! Since we have been hosting Compassion Sponsor Letter Writing Nights at our home, I thought it would be fun to make a bunch of snowflakes to send to our sponsored kids. We all made a lot of snowflakes that night! They all turned out so pretty! On the front of the manila folder, I glued on blue paper, colored the snowman, and added paper punched snowflakes. On the inside left of the folder, I pasted the instructions on how to make the snowflakes, as well as a pocket to hold some coffee filters so the child can make their own snowflakes. On the inside right of the folder, I found images of snowflakes online taken by Snowflake Bentley, and a photograph from our recent trip to Yosemite with snow on the ground. the printable of the snowman from the front cover for the child to be able to decorate on their own. 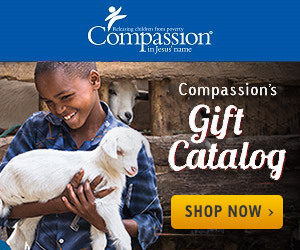 This is the first time we have put together something like this for our Compassion kids. With the new online letter writing tool, I am not sure how many sponsors will continue to put together folders like this for their children. I sure had fun putting these together and am already thinking of other folder ideas to share with our Compassion kids! I pray these folders are a blessing to them when they receive them!